All medical students, residents, and NAM members are invited to a Fall Social at NAM on Wednesday, September 12 from 5:30 p.m. to 7:30 p.m.
Are you interested in having a voice in the state of medicine? Do you want to learn how to get involved in organized medicine, from the local to the national level? Or, do you just want to know more about the Nashville Academy of Medicine (NAM)? Join us for all of the above, drinks, and light hors d’oeuvres at NAM’s office. 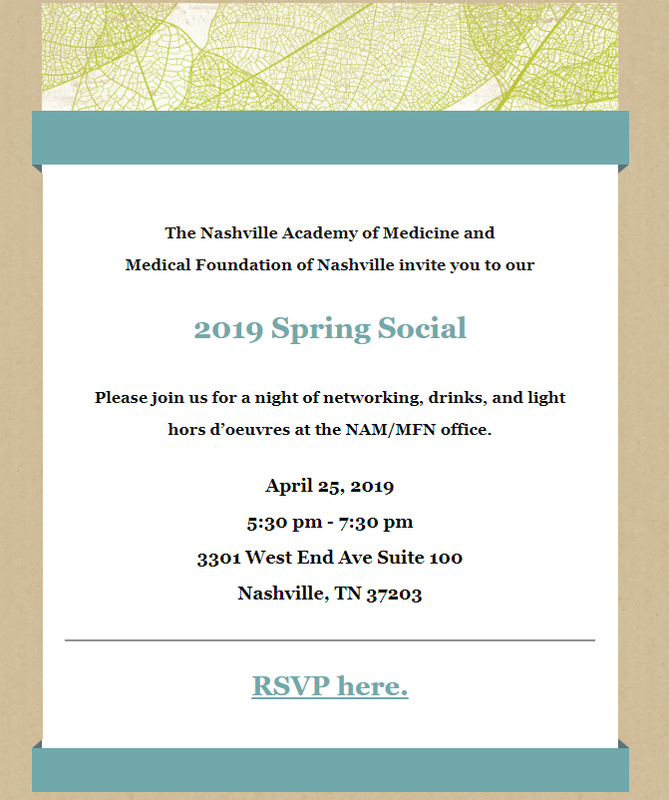 If you have questions about the event, please contact Nikki Ringenberg at nringenberg@nashvillemedicine.org or 615-712-6236.